Mean pretty doesn’t sound very complimentary but it worked in Novalyne’s case. I could feel a great weight lifting off my shoulders. A mean pretty? A woman who’s different! I’d never have thought of a thing like that. I looked at Bob, intent on the road, and I liked him a lot! He was good looking in a big, substantial way. But more than that, he was understanding. A good writer. He always knows the right thing to say to make a girl feel good. Important. And — Yes. Beautiful. There is life beyond death, I know, and I know this, too, Conan of Cimmeria” – she rose lithely to her knees and caught him in a pantherish embrace – “my love is stronger than any death! I have lain in your arms, panting with the violence of our love; you have held and crushed and conquered me, drawing my soul to your lips with the fierceness of your bruising kisses. My heart is welded to your heart, my soul is part of your soul! Were I still in death and you fighting for life, I would come back from the abyss to aid you – aye, whether my spirit floated with the purple sails on the crystal sea of paradise, or writhed in the molten flames of hell! I am yours and all the gods and all their eternities shall not sever us! And she proves it too. When Conan’s life is in danger, she distracts his adversary long enough for Conan to free himself from a shard pinning him down and grab his sword. The fact that Bêlit is dead does not affect the strength of her love for Conan. 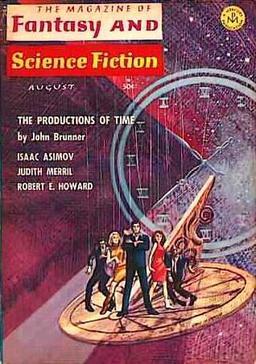 Howard’s “For the Love of Barbara Allen” (from the August 1966 issue of The Magazine of Fantasy and Science Fiction) which shares its title with the folk song, is perhaps one of the most romantic and neglected of his tales. The narrator, a young man named, John Grimes, is listening to his grandfather strum his guitar and sing “For the Love of Barbara Allen.” The song reminded the old man about the Civil War and he begins to talk of it and about his brother, Joel, who was killed in battle. He tells his grandson that Joel left behind a sweetheart, Rachel Ormond, whom he had loved since he first met her. He was singing “Barbara Allen” as he rode down the road. She heard him and came out of the laurel beside the road to listen. When Joel saw her standin’ there with the morning’ sun behind her makin’ jewels out of the dew on the bushes, he stopped dead and just stared like a fool. He told me it seemed as if she was standin’ in a white blaze of light. John is told that after Joel’s death, Rachel Ormond nearly died. She never married, never looked at any other man. When the Ormonds come to Texas, she came with ‘em. Now she’s dyin’ up there in their house in the hills. That’s what they say; I know she died years ago, when news of Joel’s death came to her. Shortly after when John Grimes goes to the stable to stop two horses from fighting, one of them rears and gives him a glancing blow to the head. When he comes to, he is in the body of his Uncle Joel in the battle that killed him. In his pocket he draws out a picture of a girl smiling bravely, “a beautiful girl with tender lips and brave eyes.” As the battle begins, he rides down the defile toward the fighting. I was like two men — one that rode and shouted and slashed right and left with a reddened saber, and one who sat wondering and fumbling for something illusive that he could not grasp. But the conviction was growing that I had experienced all this before; it was like living an episode forewarned in a dream. Joel dies as predicted. After being unconsciousness for only a few seconds in the stable, John wakes up. 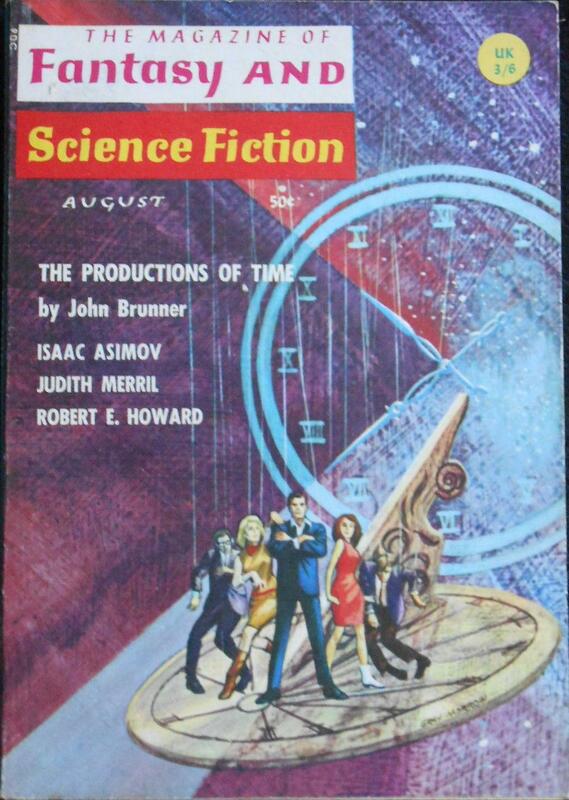 Yet in those brief seconds, I had travelled through the eternities and back. I knew at last my true cosmic identity, and the reason for those dreams of wooded mountains and gurgling rivers, and of the sweet face that had haunted my dreams since childhood. John saddles his horse and goes to see Rachel. …and I saw an old, old woman lying on a bed. Even in her old age her vitality was apparent, though that was waning fast. She lent a new atmosphere even to the miserable surroundings. And I knew her and stood transfixed. Yes, I knew her beyond all the years and the changes they had wrought. She in turn recognizes “Joel,” and asks him to sing to her again, pointing to his guitar hanging on the wall. I took up the ancient guitar and though I never played one before, I had no doubts…my voice was weird and golden. I saw and recognized the picture I had seen in the defile of the dawn. I saw youth, and love everlasting and understanding. She waited long for him; now she must wait somewhere else. That’s the hell of war; it upsets the balance of things and throws lives into confusion that eternity cannot make right. Howard didn’t write any romantic poetry for Valentine’s Day. In fact, “A Pledge” is the only one specifically mentioning the holiday. It doesn’t have any cupids or entwined hearts and flowery phrases — it’s much more practical than that. And you were a barmaid fair. Drawn with your own fair hands. To quench my horrible thirst. In the name of Saint Valentine. Again, no phrases about “hearts and flowers” — but chances are good he would have appreciated the sentiment. This article was originally published at The Cimmerian. Barbara Barrett’s last article for us was Just Call Me Folklore: A Whimsicality on a Whimsical Character. 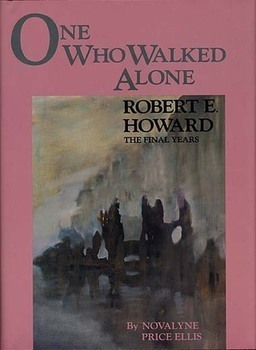 One Who Walked Alone was the basis for a little-known 1996 movie, The Whole Wide World, with Vincent D’Onofrio as Robert E. Howard and Renee Zellweger as Novalyne Price. It’s a terrific film and well worth seeking out – D’Onofrio especially is just amazing as REH. I think this is the best REH post I’ve read. Thomas, Thanks for mentioning Whole Wide World. This movie was my introduction to REH. 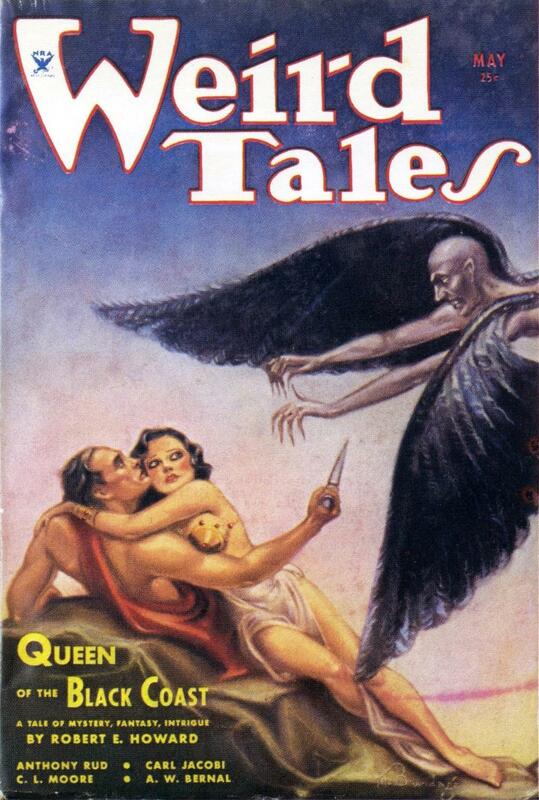 I read her book and then began to look for whatever REH stories and poetry I could find. Wild Ape: Glad you liked the article! 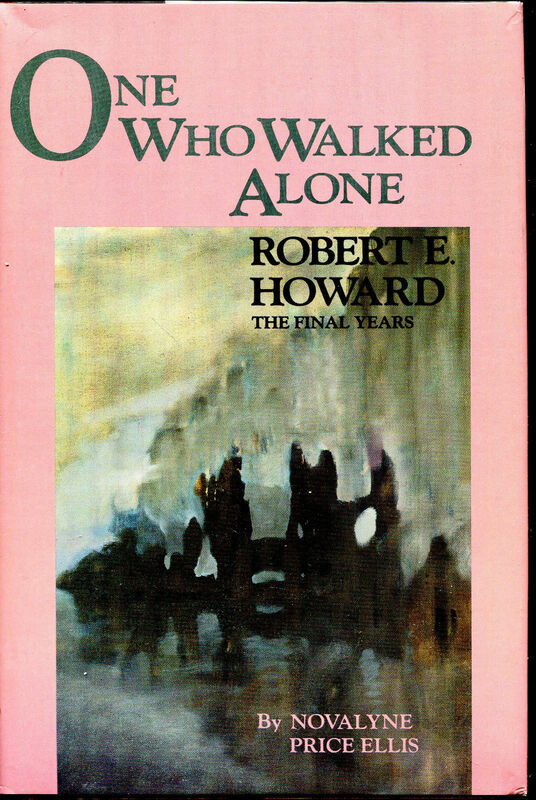 Bob Byrne’s “Discovering REH” series has given fans a chance to see the variety of Howard’s prose and poetry. It’s a wonderful resource and lots of fun too. Mike–thanks for the pingback. I’ve discovered another great website. @Barbara–I’ve been reading Bob’s columns and I’ve enjoyed them too. His Sherlock Holmes articles are the bomb.